Nurturing the mind, body and spirit of the artist. Basketball University will host its Spring Break Skills Camp March 11-14 at FilHoops Gym. Open to youth athletes ages 10-18, this camp is designed to promote skill development, enhance performance, and increase basketball IQ during the off-season. Basketball University's Spring Break Camp is only $160 per youth athlete. The Skills Camp is also available during the Summer Session. Check website for dates and times. Sports and traditional summer camp activities offer an unforgettable summer at Beth Yeshurun Day School. Choose from a wide variety of weekly enrichment camps for children ages 15 months through 6th grade. Multifaceted enrichment programs include sensory skills, arts and crafts, science experiments, basic cooking, and daily water activities, plus a weekly Shabbat celebration. Our summer camp follows the highest standards of safety and security, and our low staff-to-camper ratio ensures each child receives individualized attention. We aim to provide a captivating environment with activities and programs that keep your child interested, engaged, and having fun while making new friends, learning important social skills, and continuing to develop Jewish values. We take fun seriously! 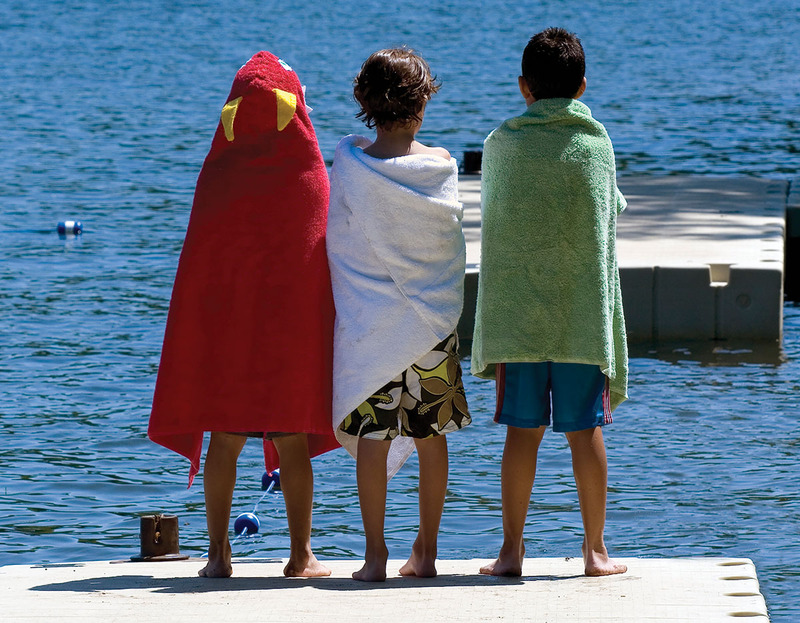 Located in the heart of Memorial, Camp Chapelwood is a longtime summer tradition for children ages 5 through fifth grade. Our enthusiastic and caring counselors ensure each camper has a great experience. Campers make new friends while participating in fun and challenging activities such as gymnastics, cooking, dance, crafts, self-defense and games. Exciting field trips are planned, and special groups will be brought in to provide entertaining and educational shows for the campers. City ArtWorks is a leading visual arts educational resource, fostering skill development and self-expression through creative programming, collaborations, and exhibitions. Transform your child's love for technology and video games into an exciting learning adventure this summer. Code Ninjas camps offer an immersive environment for children to explore and develop new problem-solving skills, gain confidence, have fun, and make new friends. It's an unforgettable experience! Houston Gymnastics Academy offers a variety of gymnastics camps throughout the year, keeping kids active and engaged while they’re out of school. Our Summer Blast Camp (June 3-August 16) combines fun and fitness for children ages 3-12. Kids will tackle our obstacle course, jump on trampolines, swing into the giant foam pit and more! Campers will have a blast while learning new skills, making friends and creating memories. Multiple day camps run June 3-Aug. 22, Mondays through Thursdays, 9 a.m.-noon. At The Hitting Academy, our camps are designed to offer each camper a great baseball experience. Each day is filled with organized drills, professional instruction and fun games. Each camper will get plenty of swings off of our state-of-the-art pitching machines while watching themselves on our HitTrax simulators. Our pitching bullpen is equipped with a variety of stations to improve throwing and pitching. HCE Kids Camp is designed to help a new generation learn the basics and enjoy all kinds of photography. Cameras will be provided for hands on applications of exposure, composition and live shooting. Join HEC for a jam packed week of exciting and challenging activities. Summer camp will include gymnastics, cheerleading, tumbling, arts and crafts, water balloon wars, obstacle courses and more! Our goal is for campers to have loads of fun while promoting fitness. Join us this summer to experience team-building fun at Incarnate Word Academy! We offer a volleyball camp and a dance camp to help middle school students develop leadership skills, practice athletic fundamentals, and connect with other students. J Camps is your home for the summer. With a wide array of camp options, we have something for everyone ages 3-16. Traditional camps, as well as specialty, sports, art, dance, theater, tennis and gymnastics camps, are available throughout the summer. We have well-trained, experienced and caring staff working with the campers in a low camper-to-staff ratio. Our summer camp program is offered to elementary students in kindergarten through 6th grade. It starts June 4 and ends on Aug. 23. The program consists of sports, technology, theater, art, music, and character education/interpersonal skills. We also focus on hands-on and project-based academic activities. We have our after-school program, which will offer extracurricular activities such as soccer, karate, dance, fencing, science labs, chess, robotics, coding and more. Power Camp is a Christ centered summer day camp ministry of Bellaire United Methodist Church for children entering pre-K through the seventh grade. Our mission is to provide a positive Christian environment which includes education, recreation, and fun, while also providing a safe sanctuary for children in and around our community. We strive to create a caring, loving atmosphere where children are nurtured in faith and guided in personal and spiritual growth. Activities include Bible lessons, mission projects, swimming, weekly field trips, athletics/gym, games, art, crafts, cooking, science, theater arts, music and cooperative challenges. Do you want to learn how to play in a band or learn to write songs? School of Rock Memorial offers a wide variety of music camps and workshops that cover topics such as these. Our music camps are perfect for musicians of any skill level who want to play guitar, bass, drums, keyboard and vocals. Three-day camp: ages 5-7. Full-week camp: ages 8-17. St. John the Divine Vacation Bible School is here to assist families in introducing their kids to Jesus Christ, to plant the seed of God's Word into their hearts, to model the love of Jesus through a team of caring volunteers, and to nurture and shepherd them into a lasting relationship with God. Join us this summer for Vacation Bible School, July 29-August 1. At Stars Gymnastics we offer a fun and safe environment for girls and boys ages 4-12 to spend an active day learning gymnastics and participating in group games and activities. Note: Stars is not a licensed childcare facility. We are a sports training facility. At Westbury Christian School, summer is fun – and educational. The 10-week Summer ASAP! camp is much more than just daily child care. Campers ages 3-10 have fun making friends and participating in hands-on sports, STEM, social studies and theater arts activities presented by certified teachers. They also take part in a summer-long Vacation Bible School, enjoy age-appropriate swimming/water play, see some popular local attractions, and welcome special guests to campus for show-and-tell. Summer camp at St. Stephen’s is filled with exploration, creativity, self-expression and cool, challenging projects! Our Montessori curriculum is woven into each session theme, along with prepared environments. We develop and encourage every child’s individuality and natural curiosity to explore and learn through adventure and exploration. Our summer camp is focused on providing a variety of exciting challenges for each student, offering the opportunity to learn new skills – all while having a wildly fun time. A summer of education and adventure awaits your child at the Houston Museum of Natural Science. Week-long, hands-on science summer camps feature science activities for children ages 6-12. HMNS Summer Camps are held at the main Houston Museum of Natural Science location and at the Houston Museum of Natural Science Sugar Land. The action-packed 2019 summer lineup includes camps featuring chemistry, outer space, robotics, physics, social studies, dinosaurs and many other topics, all supported by our world class exhibits. Learn new moves with professional ballroom dancer Uliana. Each class includes a warm up, stretching, introduction to ballroom dance, fun dancing drills and acting. Everything you see on DWTS is here! No partner and experience necessary! Classes will be held in a group and are planned one week of each month during summertime. Cha Cha, Samba, Swing, Waltz, Tango and more dances will be included in the program. Creating smiles one stitch at a time. At Sew Nice and Easy’s summer sewing camp, we provide a fun and safe place for children 9 to 13 years old. From sewing a button to creating a dress or sketching fashion, we aim to create smiles and happiness. From our elementary, middle school and high school academic and enrichment camps to our middle school sports camps, our mission is to provide an experience which sparks curiosity and ignites passion while improving core skills through a wide range of fun yet challenging activities in the classroom, on the stage, in the lab or on the field. Rethink your summer – Summer @ STH! Our school was established in order to bring the highest quality of dance training to all our students. We are interested in training dancers of all ages and levels in order to bring them to their full potential as dancers, foster a lifelong love and appreciation of dance, and provide a quality performance experience that will instill confidence and poise. This summer we offer a wide variety of programming: Dance Intensives for intermediate and advanced dancers June 3-22 and July 8-27 and Children’s Dance Camps for ages 3-9, dates TBD. Please visit our website for details. Super Summer Stuff is a high energy summer day camp at West U Baptist Church. We offer exciting field trips and have fun programming throughout the summer for a wide age range. Every week has a different theme that teaches and instructs as well as helping to build basic skills. Friendships are made, learning is encouraged, and we have a ton of fun! Summer Camps designed to give juniors a fun environment to learn and play the game of golf! The camp’s purpose is to help grow and develop juniors’ skills and passion for the game of golf through the Operation 36 curriculum. Our camps engage children in active and instructional ways. Each week includes field trips, educational guests, pool/splash days, library time, computer lab, art and lots of fun! Yorkshire Academy offers “one stop” summer camp shopping for ages 24 months-6th grade from June 3-July 19. Yorkshire’s weekly camps include academics, over 50 enrichment programs, theme-based options for our little ones and full-time care. The unique element of its program is flexibility: camps are offered for half day, full day, and full-time care. In addition, a student can enroll in an academic camp in the morning and an enrichment camp such as chess, yoga or engineering in the afternoon or vice versa. This is a community-wide program that attracts campers from beyond just West Houston and Katy.